I believe this is a daylily. The gardeners who work the Homeward Bound Memorial Garden will attest to the large gaps in my knowledge of things that grow so it’s no surprise I’m not certain. They let me mow the grass area because it makes me feel useful and I can’t much damage anything in the garden in that endeavor. I love the color and form of the daylilies and asiatic lilies. You’ll often find me near their bed trying to capture the perfect image. I chose this one for today because it’s getting cold here and it makes me feel a bit warmer. It’s a daylily. I didn’t realize we still had some in the garden. 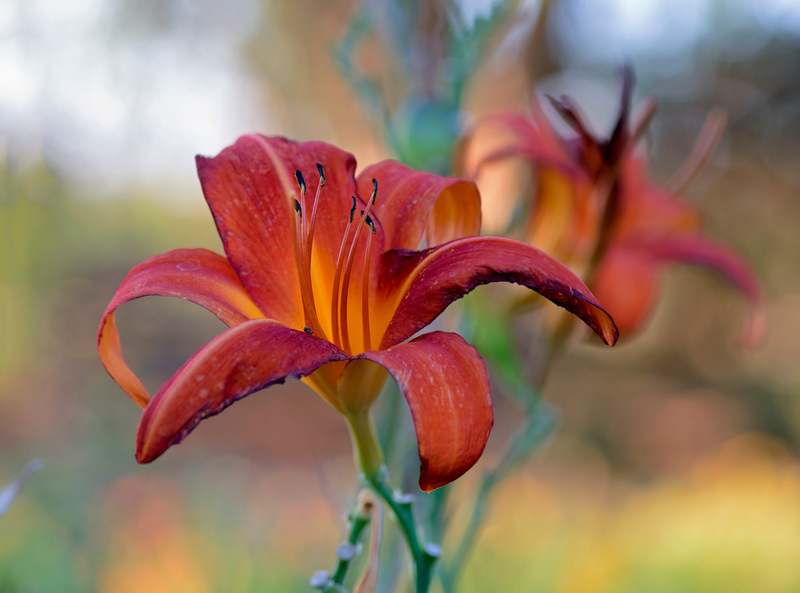 Looks to be a beautiful example of “Hemerocallis fulva” or “Tawny Daylily” according to my flower app. 🙂 Very pretty photo and perfect Fall color! Thank you. That is one of my favorite flowers. You know more than you let on! Beautiful capture. It must be a daylily then. I’ll mark this day in the calendar.